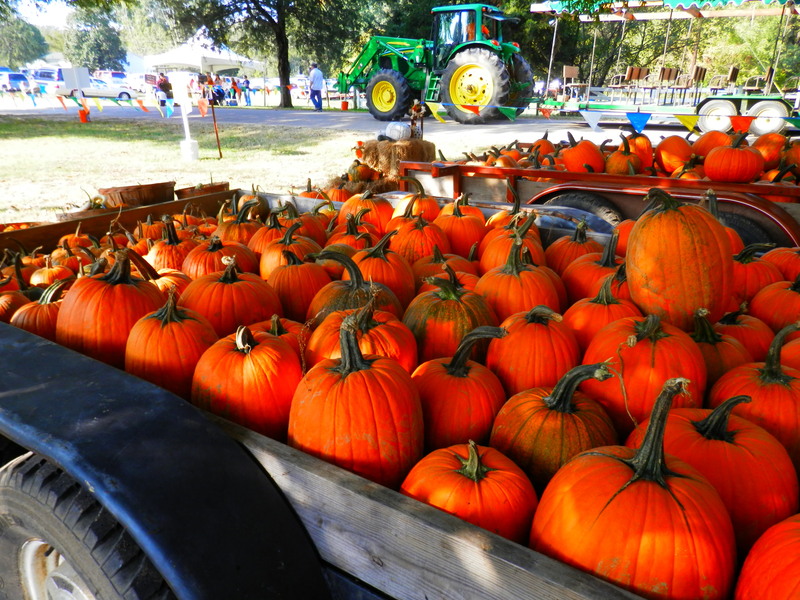 What would October be without pumpkins? 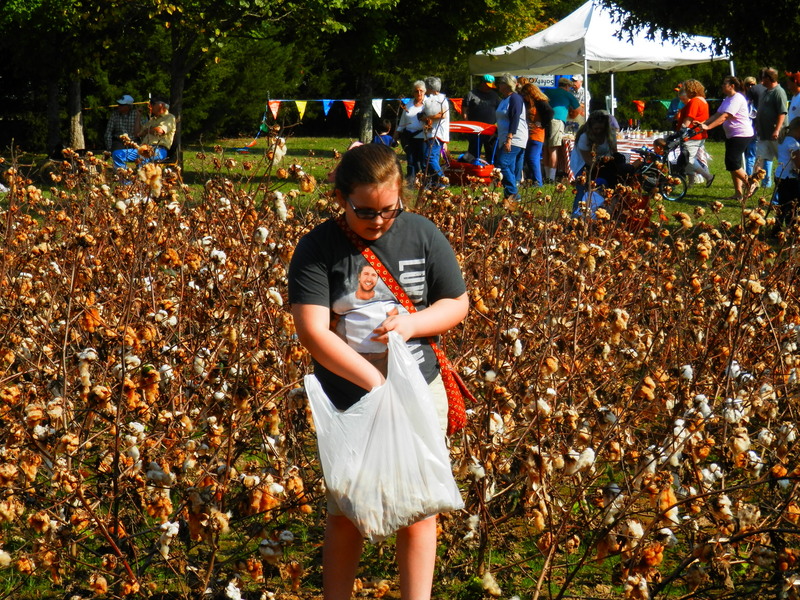 We went, with a group of friends from church, to a heritage day at a plantation. The weather was wonderful. Yes, it was fall. Yes, there were pumpkins. We saw Indians performing native dances. 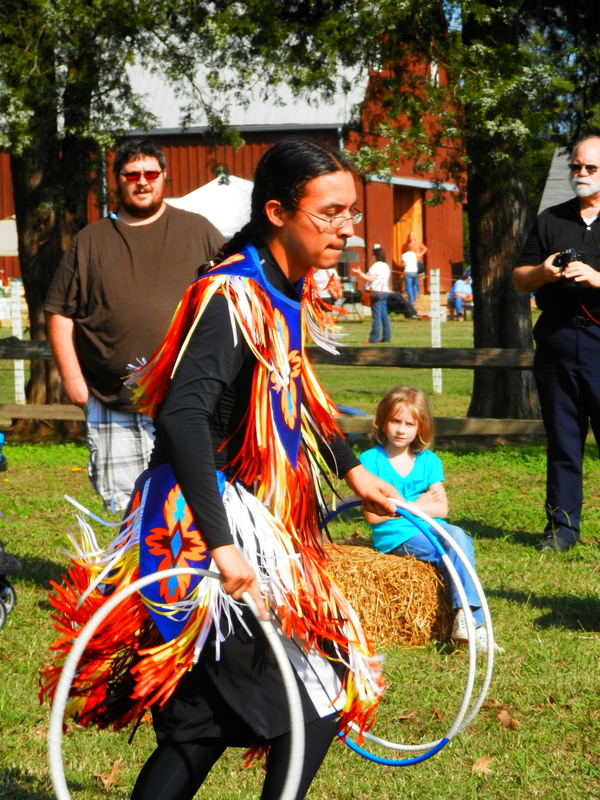 This one was a hoop dance. He made things like a butterfly, a bird, an alligator, & Mickey Mouse with the hoops. It was entertaining. Miss Neenee found the cotton patch. She was so happy that she got her bag filled up. If this were for real & she had to do this, probably not that much fun! If you can look past my dirty windshield, you will see some pretty amazing fall colors. This is a little spot in the road on my drive in to work. 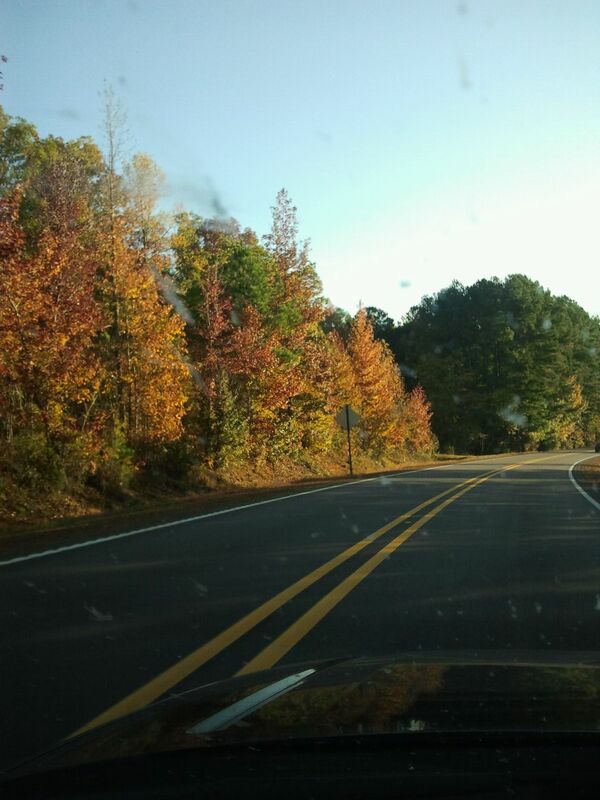 I have been wondering where fall was…looks like it’s on the side of the highway here. It’s been warm in Mississippi this week. However, looks like fall colors are here, so where’s the cool weather?? Each week Miss Neenee brings home papers for me to look at. As I was thumbing through her work, this one caught my eye. 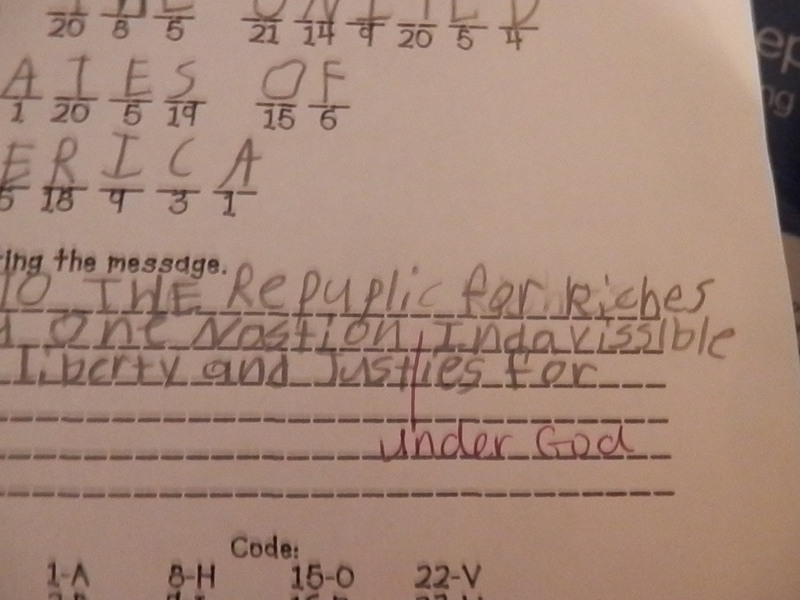 They were writing out the pledge of alleigance. Her’s went as follows….and to the Republic for Riches stand…. Well, you can see above there were other slight misspellings, too. I will be keeping this one for the scrapbook! We have more fall activities planned for this weekend. We are attending a girl scout fall gathering tonight, I have a 5k on Saturday, & Miss Neenee is going to a fall festival with a friend on Saturday, as well. So, what are you doing this weekend?? 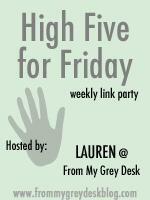 Be sure to link in with Lauren! ← What else can God do for me? Her lil’ picture is adorable!! Have fun at your 5K, dear! Have a wonderful weekend. Great pictures! Love all the pumpkins! Happy Friday! Thank you & thanks for visiting my blog. Hope you have a great weekend!